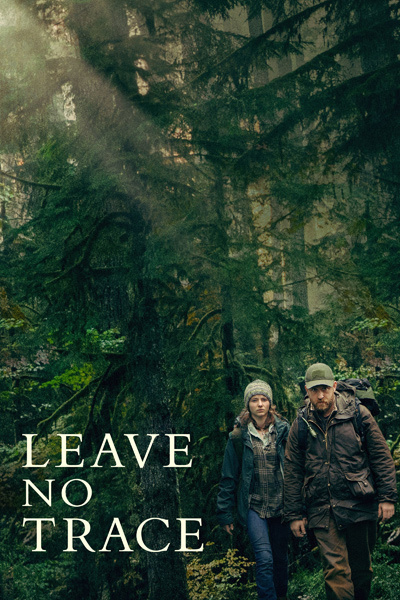 Early on in Leave No Trace, Will (Ben Foster) and Tom (Thomasin McKenzie) have moved into a modest, charming home in Oregon’s countryside, with assistance from the state and from a local farmer who took pity on their situation. Will and Tom were homeless, and the first act of the film focuses on their life camping in a large nature preserve outside of Portland before they’re arrested and taken into custody. The new home they’re placed in seems like a paradise compared to their time in the woods, but to 13-year-old Tom and (especially) her father, it’s a frightening place that’s little more than a gilded cage. The script dodges many of the clichés that viewers might expect from such a story. It refuses to descend into outright bleakness or violence. And Granik doesn’t render nature with some kind of poetic transcendence: She sees beauty in the woods as well as the harshness of life there. She also understands the comforts of the more “civilized” existence the government tries to impose on Will and Tom, and the pressures that come with that way of life. Granik’s ability to convey so much about how a community works without didacticism is part of what made Winter’s Bone (which was set in the Ozarks) such a thrill to watch. While Leave No Trace is a more muted drama, it has a similarly firm grasp on its characters and the places they comes across. The result is a travelogue through an ignored part of America that’s imbued with empathy; when Will and Tom’s journey comes to an end, it’s heartbreaking, soaring, and necessary, all at once. It may be Hollywood’s fault that it took Granik this long to make another narrative feature, or she may have been looking for the right story to tell, but either way, this is a film that confirms her as an essential creative force.